On April 15, 2018 we conducted a second workshop with students from “St. Paisii Hilendarski” Secondary School and from other schools by taking them to the mountains to practice walking in mountain areas. The children were from 12 to 17 years old. In the group there were children with hyperactive behavior, with learning difficulties, disorder of expressive speech, asthma, pupils with visual impairments and heart problems. Mrs. Ikimova presented the project to the participants. A visit to Tsari Mali Town was made. In order to reach the site, students and teachers had to walk along an eco-path that had different slopes for climbing and going down. At first, the students started going up the route with enthusiasm and desire, but at a certain point some of them began to feel difficulty in climbing. Being encouraged by their friends and teachers, the difficulties were overcome. Some of the children with disabilities made frequent rests, but eventually, though being the last of all, they managed to get to the top and explore the historic landmark. 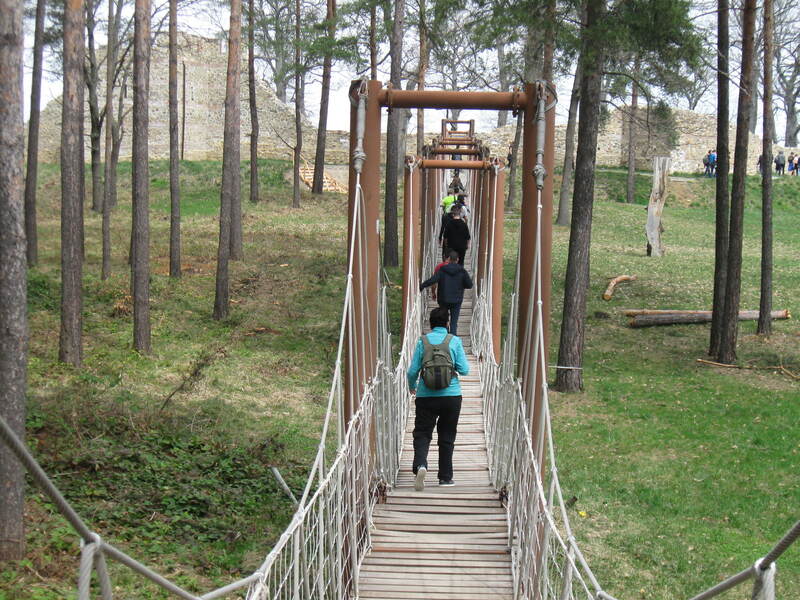 All the participants also crossed a rope bridge where, despite some difficulties walking along the bridge, all the students successfully passed through it. The teachers had the necessary patience and helped the children to cope with the difficulty of climbing and going down the eco-path, and the atmosphere that dominated all the time was very enjoyable. Everyone was taking into consideration the needs and the abilities of the students. Everyone felt very well and the children with disabilities were involved in the group. This workshop lasted about four hours and was organized by Mrs. Nina Grudeva, Mrs. Diana Vasileva and Mrs. Silva Ikimova as a second workshop within the project in order to raise the awareness of the students about the benefits of climbing and going down an eco-path, walking in the mountains and the inclusion of children with disabilities.